You have too many thoughts in a day to physically monitor them all. You also have so many subconscious thoughts that you don’t realize even exist. 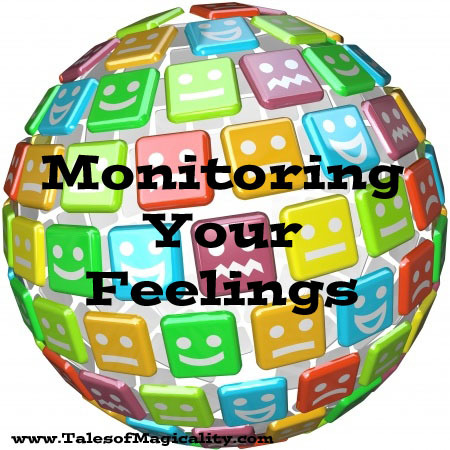 You can, however, monitor your feelings. Your emotions and feelings are indicators of what your thoughts are feeding your magnet. What you really need to monitor is when you are feeling ‘off’. You know the feeling. Maybe you are mad or sad or feeling down for no reason. You won’t feel like yourself. When this happens know that whatever you are thinking at that moment, you are feeding your magnet instructions to draw more of that to you. Decide now to change the way you are feeling. Thinking of all the wonderful things you already have right now will help bring your feelings back to positive.